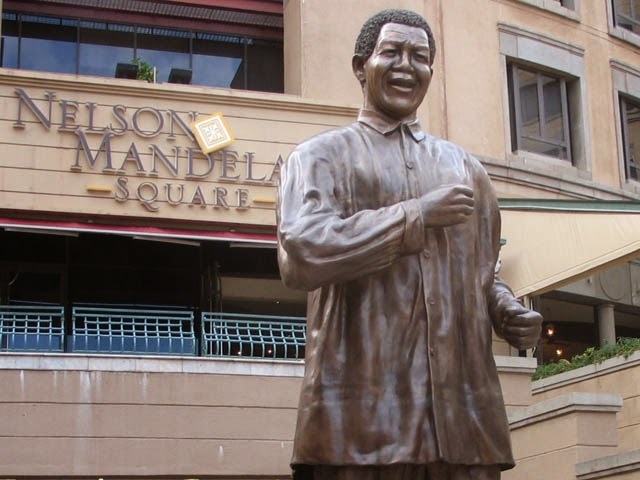 An unknown woman caused a stir at the Nelson Mandela Square in South Africa when she stripped naked, caressed and hugged Mandela's statue. According to reports, everyone around rushed out to see her and a man got smacked on the head by his wife for trying to take a closer look. "She didn't have a nice body, everything was saggy and she had hair. Afroman was better."